Uruguay has long been recognized as a source of top-quality talent and a stable place to do business. What it lacks in size it makes up for in human capital. One of Uruguay’s most successful software development firms, UruIT, is very proud of its identity as a Uruguayan nearshore provider. Still, its growth and client demands have recently called on more than could be easily found in Montevideo. So after investigating locations as far away as Guadalajara in Mexico, UruIT staked its claim in Medellín. As the capital of Antioquia, the city is the heart of of the Aburrá valley, which is often referred to as Colombia’s — and some would argue South America’s — Silicon Valley. The company certainly did its due diligence. It visited multiple locations in the region along with a key corporate client, met with government officials, and visited investment promotion agencies. It considered real estate costs, telecommunications connectivity, travel accessibility, and other factors. Ultimately, one location beat out the rest. After UruIT opened for business in Medellín’s Ruta N technology complex, Finance Colombia’s Loren Moss was first on the scene. 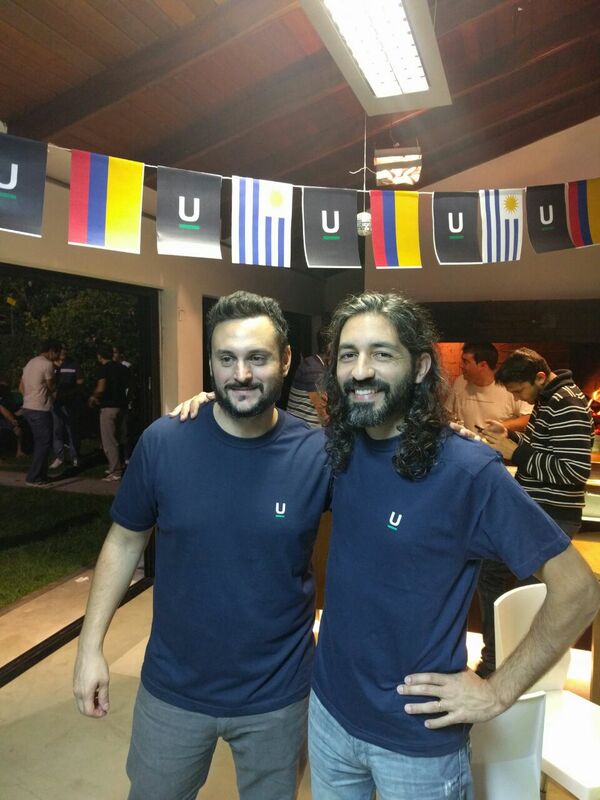 He recently sat down to to speak about the company’s expansion with UruIT’s key executive in Colombia, Marcelo Martinez (pictured above, with his Uruguayan Maté). Finance Colombia: Well, here I am with Marcelo Martinez. What is your position at UruIT? Marcelo Martinez: Well, my position is operations manager, but now that I’ve come to Colombia, I’m going to be like the country manager for Colombia, here in Medellín. 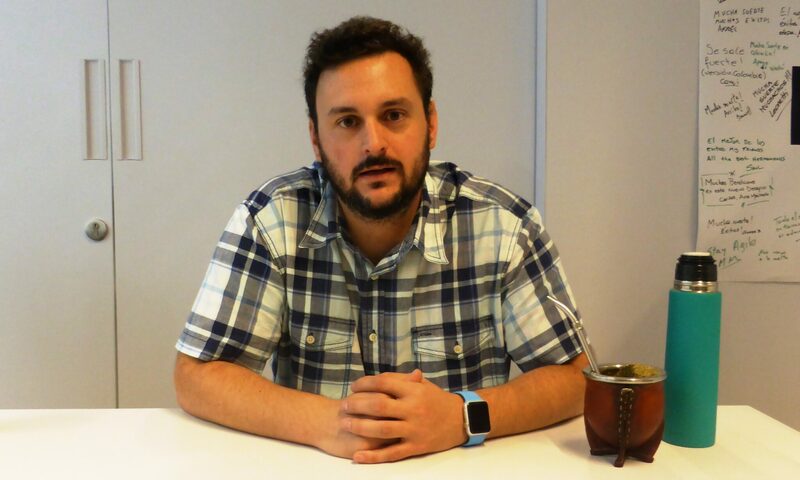 Well, I’ve been with UruIT for about eight years, I know the company well, I saw it grow up, the culture, so I hope to be able to re-do everything I learned and maintain that company culture here in Medellín. Finance Colombia: Ok, Tell me a bit about the history of UruIT, it’s a software company, but exactly what does UruIT do, and for whom? What is it’s market segment and what is the product or service that UruIT offers? 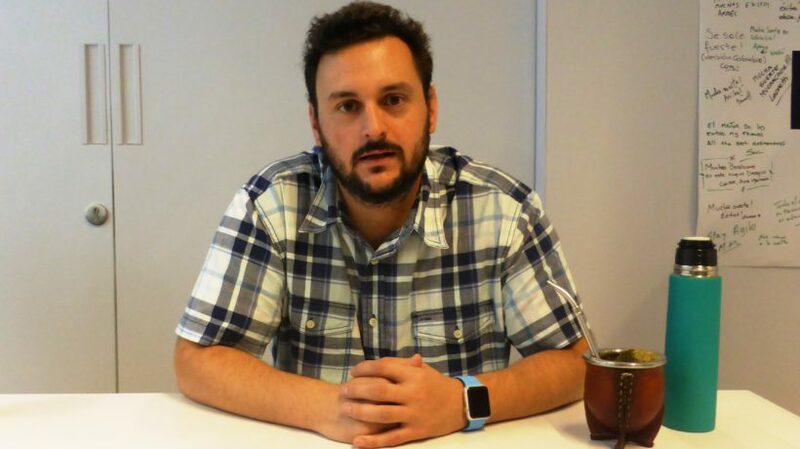 Marcelo Martinez: Well, we are a software development company. In the initial stages, the founders of UruIT and also myself worked in TCS, Tata Consultancy Services, and there we got a lot of experience with international clients. 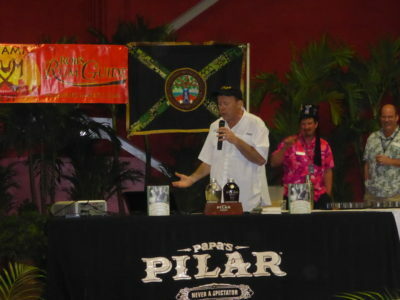 We’ve also traveled, we’ve worked in the United States, I traveled and worked in Mexico, so we got to know a lot about what it’s like to have the experience of working abroad, and that was our focus at the beginning: to take advantage of what we learned and attack the markets, above all in the United States, and that’s how we went about looking for those clients. Also in the last few years we started very much to use the AGILE, SCRUM, Kanban methodologies, and today they have become like the culture of the company, not only do we take them into our way of working on projects with clients but we also take them into the internal way of working in the company, like in marketing teams, administration and recruiting, HR, all the support areas of the company. So nowadays we’re very strong in everything about web application, web apps., we also do development of mobile applications, we don’t work with native applications of iOS and android but rather we use other kinds of technology like Xamarin or Ionic also, those are frameworks that let you develop mobile web applications. We’re working a lot with angular.js and we’ve started to work a lot with other technologies like node.js So nowadays our idea, we are 60-70 people in Uruguay, we’re growing, and Uruguay is a small country so it has become a little difficult for us to grow at the pace we want, so for some time we’ve been evaluating growing internationally somewhere else outside of Uruguay. Around the end of last year, we began an investigation into different cities in Latin America. We were in Mexico, and finally we decided on Medellín. Also, we have a U.S. based client who we work with, who is very important to us, and they also needed to grow, and we told them about the opportunity to put together a team for them in another country. They were interested in supporting us in the project, and so the first stage in Medellin is to put together a team for our client and also we’re working with them to put together yet another development team for their products and then to go on growing with other opportunities. Nowadays we have a lot of opportunities, leads, for new clients and well, we see the commercial opportunities that we’re going to have with a lot of optimism, so that there will probably be no lack of need for people. That’s the idea. There’s a “meet-up” called Medellín JS where they talk about Java Script, there are more than 2,000 people registered there, and that’s something that caught my attention. Finance Colombia: How do you see the Colombian talent, the workforce? I don’t know if you have started to recruit your team. We’re here at Ruta N in front of the University of Antioquia, and there are several others here in Medellín and many more in Colombia. Obviously Mexico has 140 million people. Here there are about 48 million people. How do you see the Colombian talent, the ability to fulfill your needs as a growing software developer? Marcelo Martinez: For the moment, it looks good, I see that there are a lot of developers. I see that it’s growing a lot. Medellín is setting its sights on the IT industry, so that makes people get interested in technology. I also see that there’s a lot going on, and by that I mean a lot of technological events, “meet-ups”, for example. That’s what surprised me quite a lot. There’s a “meet-up” called Medellín JS where they talk about Java Script, there are more than 2,000 people registered there, and that’s something that caught my attention. I’ve already had the chance to take part in some meet-ups and to be at others, and I see there’s an interest, there’s a community of developers that’s big, and I’ve already had the chance to start to evaluate candidates for UruIT, and I see that there is talent and I also hope that in the next few months to get to know even more talent. But I see there are other important companies established in Medellín, so that means there’s an ecosystem of technology companies here, and that goes to show that, in fact, there must be talent for those companies to be already established. I liked what Ruta N is all about, this government program of support to entrepreneurs, and I see there’s a big ecosystem of entrepreneurship here, and start-ups, too. There are many entrepreneurs in Ruta N and I’ve met — when it comes to recruiting, I’ve met a lot of paisas, locals from Medellín, who have tried to launch endeavors and that’s something that’s very interesting, too. Finance Colombia: You’re going to get to know Colombia, and the fascinating thing about Colombia is that in each city you feel like you’re in another country. When you get the chance to visit Bogotá, to visit the Atlantic coast, for example. How is it that you came to visit Medellín? In Mexico you have strong offerings in Guadalajara and Monterrey — a very pretty city, a very innovative city. Costa Rica obviously has a great reputation in its IT human capital. So what were the factors? Why Medellín in front of so much strong competition? Marcelo Martinez: Yes, well, for example, we were in Guadalajara, and what it seemed is that, even though there are a lot of people, and maybe more than in Medellín, there was also much more competition, and there were very big companies like Intel, Oracle, set up with thousands, thousands of people. IBM, who are requires many engineers and has very aggressive plans for expansion, which makes it very hard for a company like ours which is starting out, to attract talent in such a competitive world. It seemed to us to be very complicated, the subject of talent in Guadalajara. And, well, the other thing is that we found in Medellín a very interesting city to live in, I mean, in this case I’m also coming here to live, Pablo also came with me, and something else I saw about Medellín is that people in Colombia like to come to live in Medellín, people from Colombia like Medellín, and there’s a lot of talent outside of Medellín that is willing to come to live in Medellín. Marcelo Martinez: And in Guadalajara that doesn’t happen. In Guadalajara they’re very separated. I mean, the talent from Guadalajara is from Guadalajara, those from Mexico City are from Mexico City and those from Monterrey are from Monterrey. I liked what Ruta N is all about, this government program of support to entrepreneurs, and I see there’s a big ecosystem of entrepreneurship here, and start-ups, too. There isn’t that communication. So that too seemed to us to be interesting about Medellín. Another interesting aspect for us is that Medellín is a place geographically located between Uruguay and the United States…and I mean it’s easier because our idea is to have trips, for people from Uruguay to come here and for those from here to go to Uruguay and also to the United States. So, being here is like a mid-way point that we find better in terms of costs, in terms of the amount of travel it takes from Uruguay to here. And Guadalajara was far for us, from Uruguay. It’s close to the United States but too far from Uruguay. Finance Colombia: True. For example, from Medellín to the United States is like three and a half hours. What’s the flying time—I suppose there are layovers, but what’s the flying time from Colombia to Uruguay? Marcelo Martinez: It’s about nine hours. But to Guadalajara it’s 16. Finance Colombia: Oh, obviously, wow! It’s like going to Asia (laughter). People don’t understand the size of South America. That happens. Going back to Ruta N, this morning it announced that they’re going to make a Ruta N #2, about two blocks away from here. That has been a very successful project from the Medellin municipal government. Why did UruIT choose Ruta N to establish itself here in Colombia? Marcelo Martinez: Well, Ruta N was also something that helped us with the decision. In Mexico, in Guadalajara, there wasn’t this support, to help foreign businesses to set themselves up so easily, but rather one had to go there and look for an office and figure things out. We looked for an office in Guadalajara and they were all very much taken up, you had to be on a waiting list, I mean, the process was more complicated. But here in Ruta N, it seemed more interesting. First the whole Ruta N project has support from the government, the same for foreigners as for the people here in Medellín, and the people from Ruta N showed us their plan from now forward through the next 5 years, which seemed to us to be super interesting, and also shows us their goals as a city and as a country, that Medellín is positioning itself very strongly as a knowledge and technology city. So I think that a few years from now it will be even more powerful and this is the time to be a part of that. And well, Ruta N: First, the Ruta N installations are impressive, they are first class, and they let us get what we need, which is flexibility, support when we’re growing, when we need more places they offer us a place, to be able to count on them to help us grow into something bigger, we’ve already seen that there are other companies that have achieved that important growth and they have helped them. So, just the whole process of working with them on the project was very good from the beginning. That’s what motivated us, that these people really want businesses to come to the country, to come to make them grow and to help with technological development. So all of that seemed very interesting to us, and nowadays with Ruta N being here, it’s very good to be here, not only for the services that Ruta N offers, but also to be in the ecosystem of foreign companies, and those from here, the start-ups, there are many technical events here too. You can meet a lot of people, and we’re just starting out but for now I like what I’m seeing about the movement that’s going on over there. I can also get to know companies and hopefully make synergies and learn and exchange knowledge with the other companies that are here. Finance Colombia: Exactly, exactly. Well, good luck. Marcelo Martinez: Thanks a lot.